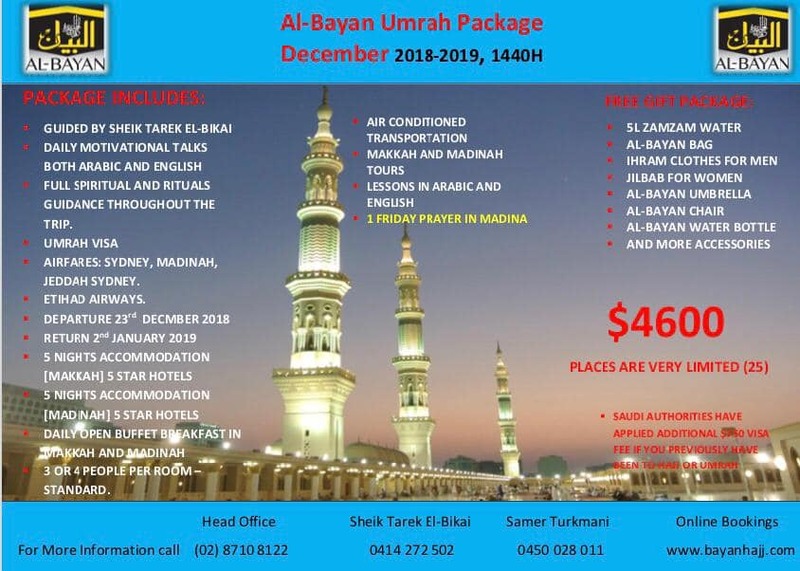 Umrah packages are now being advertised by AlBayan. Guided by Sheikh Tarek during the pilgrimage, accommodation and services, along with some free gifts are all provided. Don’t MISS OUT on this amazing Umrah opportunity!